Hair products are mostly applied topically – made of cream or mousse or wax that you apply directly to your hair. But what if you could have healthier, more beautiful hair from within? So that applying all that grease won’t be as necessary? 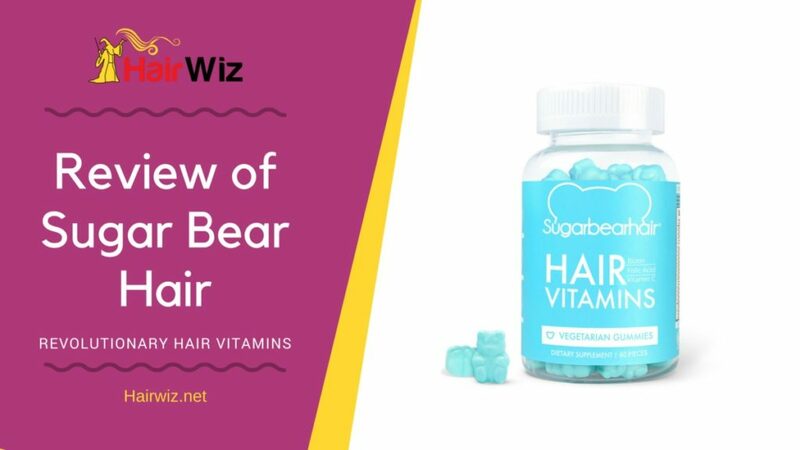 Introducing Sugar Bear Hair Review – a multivitamin dietary supplement packed with all the essential nutrients you need to have beautiful, healthier, and absolutely gorgeous hair. Making a buzz in social media, Hollywood celebrities have been endorsing Sugar Bear since its launch in 2016, catapulting the product to mainstream popularity. Every now and then you’ll see the hottest musicians and celebrities promoting the famous blue gummy bears, but does it live up to its hype? Does it really work? Let’s take a deeper look. 1 What is Sugar Bear Hair Supplements? 3 What’s Inside Sugar Bear Hair Supplements? What is Sugar Bear Hair Supplements? Sugar Bear Hair is marketed as a hair supplement that’s said to make your hair thicker, longer, and shinier. It contains 15 vitamins and minerals that create a unique formula to improve the health and quality of your hair. Not only is it a multivitamin for your locks, but it also supports overall health, too. Because of the presence of many nutrients, Sugar Bear Hair also supports the health of your skin and nails, as well as to reduce the occurrences of dandruff and itchy scalp. 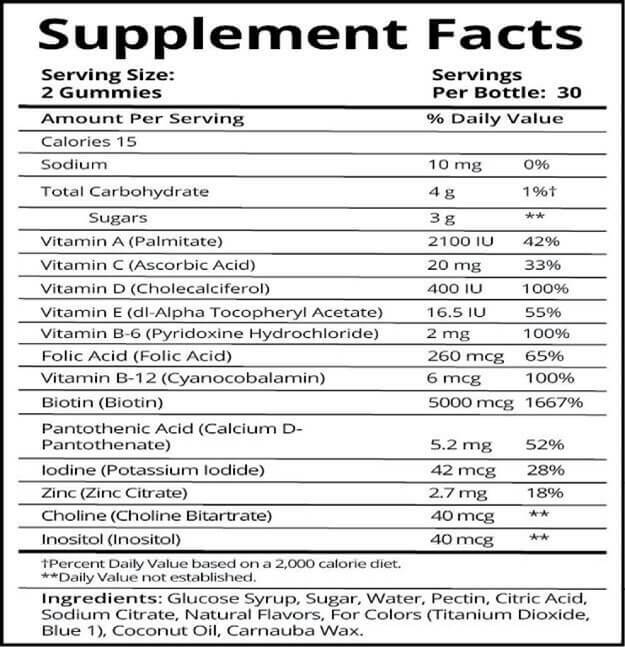 Manufactured in the USA in FDA-registered facilities, Sugar Bear Hair supplements are actually vitamins in gummy bear form. They’re chewy and sweet, just like your regular gummy bears, making them easy to eat. Dubbed as the world’s first ever gummy vegetarian hair multivitamins, the gummy bears are cruelty-free, wheat-free, gluten-free, dairy-free, soy-free, fish-free, egg-free, beef-free, and peanut-free, reducing the risk of allergies. What’s Inside Sugar Bear Hair Supplements? One of the most important nutrients you need for hair growth, biotin supports the growth of your hair by helping to produce fatty acids. Fatty acids are needed by your scalp to reduce the occurrence of dry scalp, flaky skin, dandruff, brittle hair, and eczema, which can all cause hair loss. Biotin is also known to promote the health of keratin, which are what your hair, nails, and skin are made of. Vitamin C contains a number of antioxidants that fight off free radicals, which are pollutants that wreak havoc on your health, including the health of your hair. These youth-activating antioxidants protect your hair from damage, as well as improving your body’s fight against sickness and pathogens, which can also lead to weak hair. In a study published in the Journal of Aesthetic Dermatology, Vitamin C is referenced as a nutrient that promotes hair growth. One group of subjects in the study, which had taken Vitamin C, were seen to have faster hair growth than the other group that didn’t take the vitamin. Vitamin C is also known to promote the production of collagen, which gives the skin a more supple and youthful glow, making hair follicles healthier and thus, supporting healthier growth of hair. Vitamin A promotes healthier skin and hair by improving the body’s oxygen circulation. Increased oxygen circulation feeds the scalp more nutrients, and thus, vital vitamins and minerals are better absorbed by the body, sending them to your follicles much more efficiently. Vitamin A is also a power antioxidant, helping to reduce the occurrence of hair fall and excessive shedding, It is also known to help moisturize the scalp through increased production of natural oils, making your hair softer and shinier. Another nutrient that improves your blood circulation, Vitamin E safeguards your hair from damage. And when taken with Vitamin C, both help to improve your hair’s strength and flexibility. The more elastic our hair is, the better ability it has to absorb nutrients and to bounce back from damage. Aside from its benefits on hair, Vitamin E is also essential for healthier skin and nails, reducing the appearance of wrinkles and fine lines, and fighting against free radicals. Vitamin B6 helps the body produce healthier and newer cells, replacing damaged and dead skin cells. The vitamin also helps to bring increased blood circulation to your scalp, promoting the growth of healthier hair. When Vitamin B6 is taken with zinc, it blocks DHT from the body, which is the number one cause of natural hair loss and baldness in men. Increasing energy and vitality, folic acid helps to produce red blood cells, which are essential for healthy blood circulation. When you have more red blood cells, you are at less risk for anemia, which can cause weakness and fatigue, as well as damaged and dead skin cells. The more folic acid you have, the more energy your enjoy and the healthier skin cells you have. And healthier skin means healthier scalp, and thus, healthier hair. Supports natural hair growth by helping to improve keratin production in the body. It also improves hair moisture, making it shinier and improving its luster. Coconut oil improves hair moisture and makes it softer and thicker. Sugar Bear Hair also contains Zinc and pectin, which comes from real berries, making the supplements soft, chewy, and delicious to eat. All these ingredients work together to create a formula proven to make your hair longer, stronger, shinier, as well as your skin and hair. Sugar Bear Hair is great for anyone who wishes to have healthier hair the natural way. It’s not an overnight miracle pill that will have your hair growing overnight, and not even in days. In fact, you’ll have to take the supplements at least a month to see significant results. 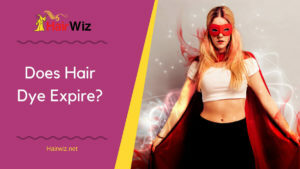 If you have thinning hair, SugarBearHair are not intended to solve that problem for you, but it can help support other means of stopping hair loss and increasing hair growth. Basically, the supplements are made just like any regular multivitamin – they merely support your deficiency in certain vitamins and minerals that may cause hair damage, hair weakness, or thinning hair. 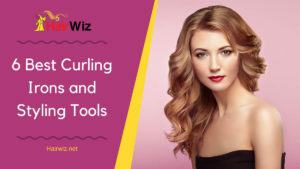 Both men and women can take Sugar Bear Hair but if you have allergies to certain ingredients such as biotin, then this supplement is certainly not for you. It’s also not FDA-approved since Food and Drug Administration doesn’t approve dietary supplements as it is regarded as a food product, not as medicine. Sugar Bear Hair is vegetarian but it is not vegan. It contains Vitamin D taken from wool, which is an animal byproduct. The chewy gummy bears are also a great alternative for anyone who wants to take hair supplements but find capsules and tablets difficult to swallow. It is great to know that there are no known side effects from taking them, except maybe having beautiful hair. **Please note that this supplement is not for: treat cure or prevent, prevent any diseases, diagnose treat cure, intended to diagnose treat or any other medical condition and they are not meant to be used as substitute for conventional medical therapy. If you need help from a doctor you should seek conventional medical service by physician of choice. In today’s fast-paced world, it can be hard to consume all the essential vitamins and minerals you need for overall health. This is why supplements are necessary if you want to achieve good health. Sugar Bear Hair supplements work in the same way as other supplements as it supports the body’s lack of essential nutrients. 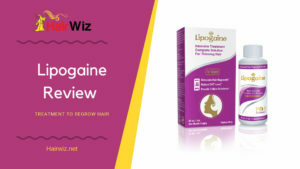 It does contain a number of multivitamins that promote increased hair growth and healthier locks but there are currently no scientific evidence to support the product’s claims for now. Customer reviews are your only basis to know whether Sugar Bear Hair works or not. 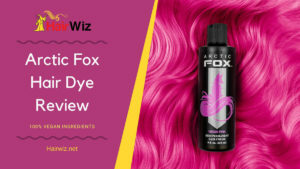 User reviews have been positive but they’re not exactly telling if it does work for hair growth. 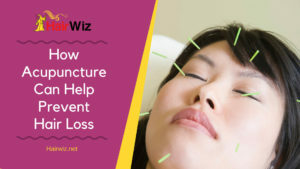 You can find, however, that most users have reported to having stronger hair, less hair fall, and healthier skin and nails. If you want a supplement that boosts your other efforts to have better skin and hair, then Sugar Bear Hair is a great option (individual results may vary).